This is my friend Cathy. Doesn't she look beautiful? 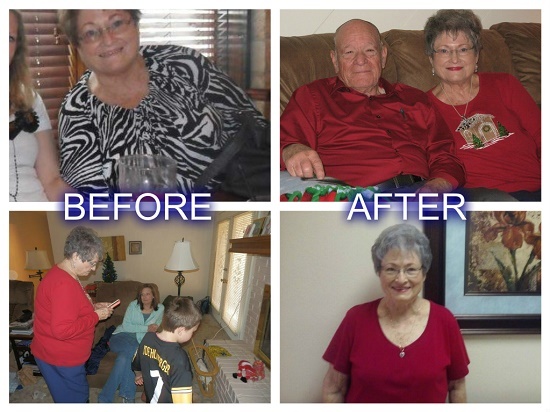 She has lost 22 pounds with Skinny Fiber and watching what she eats. This makes a total of 40 pounds total in 6 months despite hip issues that affected exercise and mobility in general. Cathy's feels more confident about how she looks, as she should be!!! This is why she is sharing her pictures as motivation to you. There can be challenges with weight loss at all ages, but hormones, bad habits, health and mobility restrictions can make it even harder to lose weight after 50 years old. Regardless, you just have to commit to your decision, stick to healthy lifestyle changes and be patient because weight loss takes time at all ages! Cathy still has a few more pounds to lose to reach her goal weight. She is starting a new weight loss challenge this month (January), so please comment to cheer her on!!! If you struggled to lose weight last year and want to do better in 2016, maybe Skinny Fiber or Skinny Body Max can help. You can join the challenge, too!!! Please do not hesitate to contact me for help getting started or if you want to share your Skinny Fiber before and after weight loss pictures, too. Thank you for reading along! Happy 2016 New Year to you!